Having grown up with acne, I am now unfortunately stuck with awful scars that stop my skin from looking flawless. To top it off, I’ve inherited gigantic pores (thanks mum) so I’m constantly on the look out for something that will help me create a smooth and even base. I was never a fan of primers really, but I’ve recently been trialling primers more and more and found that they really help make my skin look smoother. 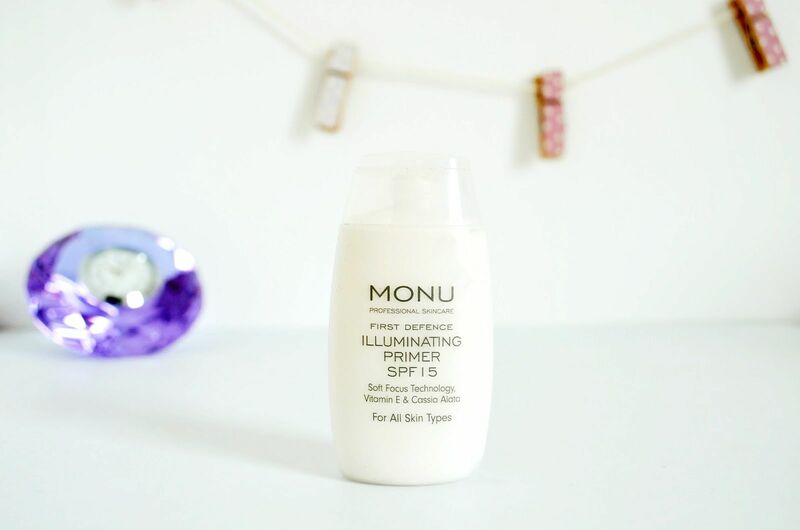 I was recently given a sample of the Monu Illuminating Primer from a colleague to try out. 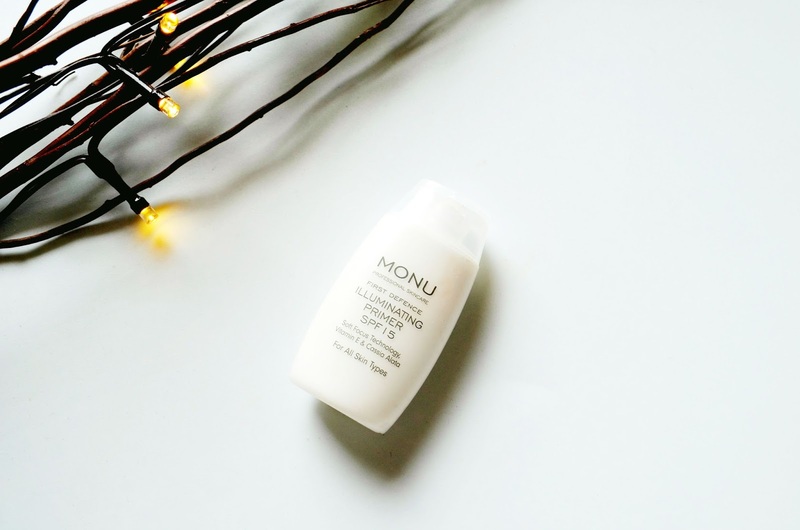 I always find Monu products look a little clinical in their packaging. Their transparent bottles and clean cut font make them seem a little intimidating to be honest. My other slight worry was that illuminating and/or products with shine are never good for someone with acne. Nobody needs to be drawing attention to those scars! Still, I will try (almost) anything once so I gave it a go. After a good few tries using the primer, I decided that I did like the primer but just not for giving me that flawless finish. As we all know primers are really just there to hold your makeup in place and to be fair it did exactly that. My foundation stayed on from early morning until I came home from work (roughly about 8 hours) which was great. It didn’t however cover my pores or help give me a smoother base, which other silicone based primer do. As for the illuminating properties that it’s been named for…well to be honest, I don’t even know what that’s about. Surely a primer gets covered up anyway? Perhaps the white primer is supposed to create a lighter base for you to look brighter? I don’t really know how light reflecting properties are supposed to work when they’re covered in high coverage foundation either? I’m not sure; either way it did nothing to illuminate my face. All in all, I wasn’t overly impressed with the primer and unfortunately I don’t see myself purchasing a full sized bottle in the near future. It was however non greasy or drying and did keep my make up in place throughout my days at work.